Dabler Auto Body’s 50th Anniversary! Dabler Auto Body recently reached an important milestone for a small but growing business. 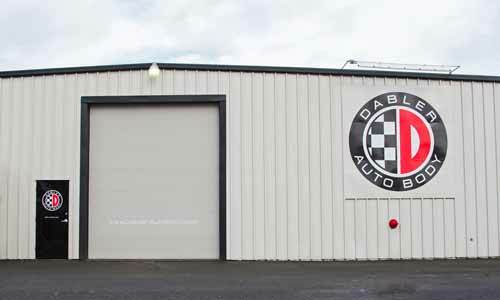 Dabler Auto Body has been providing the Salem, OR and surrounding Willamette Valley top quality auto body services for over 50 years. .We recently held a celebration at the shop to commemorate the occasion. We would like to say a very heart felt thank you to all the people who have participated in the Dabler Auto Body story. Cheers, and here’s to another 50 years! Be sure to check out the 50th Anniversary Photo Booth Album.